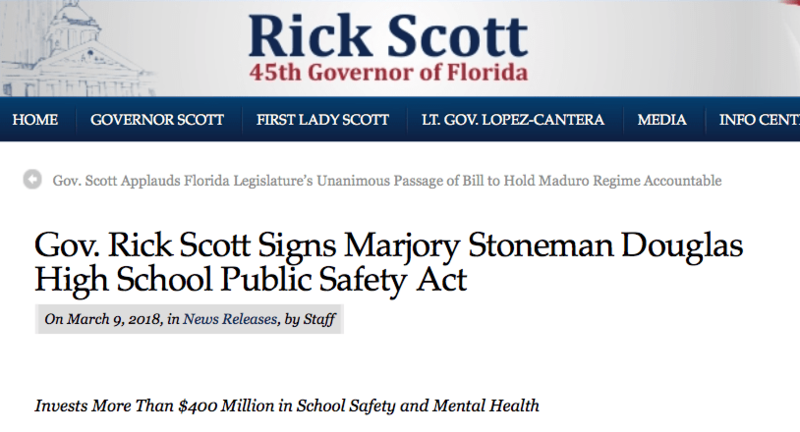 TALLAHASSEE, Fla. – Following a meeting with the families of victims of the shooting at Marjory Stoneman Douglas High School, Governor Rick Scott today signed SB 7026, the Marjory Stoneman Douglas High School Public Safety Act. This legislation makes significant reforms to make Florida schools safer, while keeping firearms out of the hands of mentally ill and dangerous individuals. 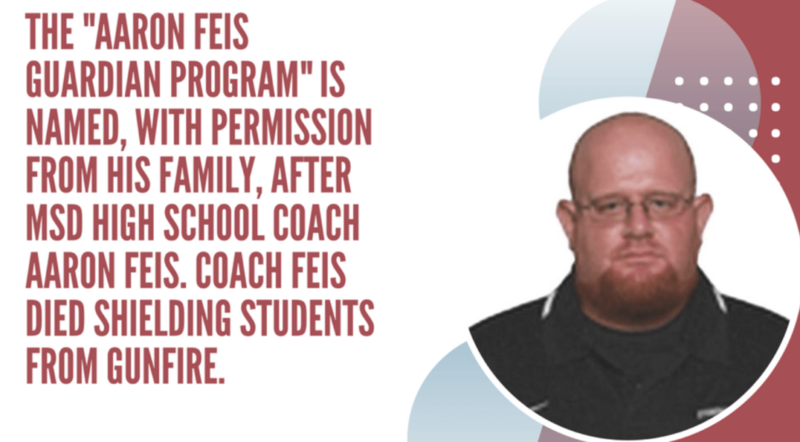 As part of the Marjory Stoneman Douglas High School Public Safety Act, the Sheriff can establish a Coach Aaron Feis Guardian Program to aid in the prevention or abatement of active assailant incidents on school premises. This bill allows school districts to decide whether to participate in the school guardian program if it is available in their county. Marjory Stoneman Douglas High School Public Safety Act requires one safe-school officer at each school. Districts can meet the requirement with any combination of deputy/SRO or a guardian/staff and faculty. No teacher will be required to participate. In fact, the legislation provides that personnel that are strictly classroom teachers with no other responsibilities cannot participate, with specified exceptions. 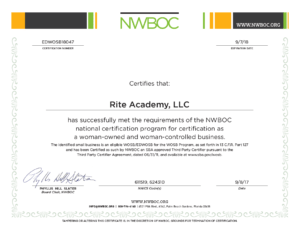 Our RITE Diversity Program is easy to teach, which includes teaching manual, power-point slides, video’s, tests, handouts, certificates, evaluations and web-linked surveys. For Single-Agency Information, contact RITE Academy, Director of Training, Randy Friedman, rfriedman@riteacademy.com. LCSO has already completed RITE’s Diversity Program and has successfully rolled out the program to its law enforcement road patrol, and corrections. RITE’s Diversity Program is proud to have as part of its evidence-based training stats, Lake County Sheriff’s Office showing a 60% reduction in Use-of-Force Incidents and 50% reduction in complaints against police officer, after 1-year of implementation.